Place the quinoa along with 2 1/2 cups of water into a pot and cook on a medium heat for 15 minutes. Set aside in a bowl. Heat a pan over medium heat, add a dash of oil and simmer the onion and garlic for 2 minutes. Add the chicken, paprika, cumin, chili powder and oregano. Cook for 15 minutes or until the chicken is cooked through. Take off the stove and add to the bowl of quinoa, mix well. 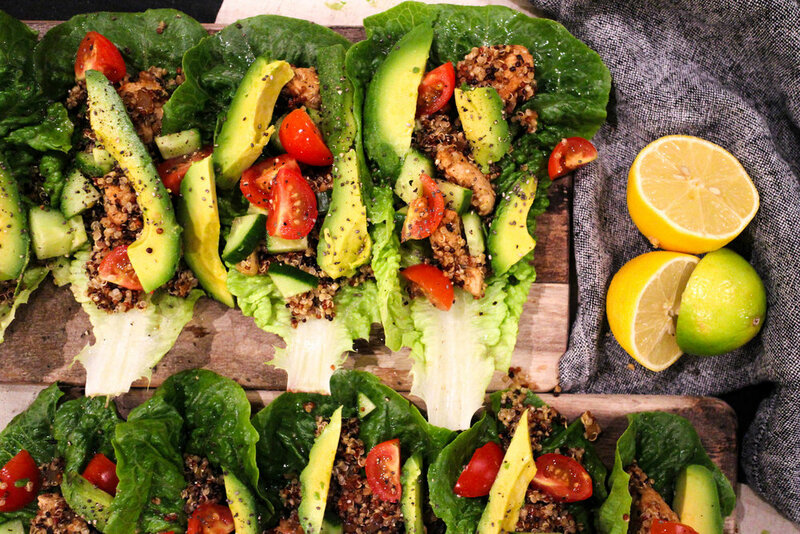 Place a large spoonful of the chicken and quinoa mixture into each lettuce cup. Sprinkle cucumber and tomato over along with the avocado. 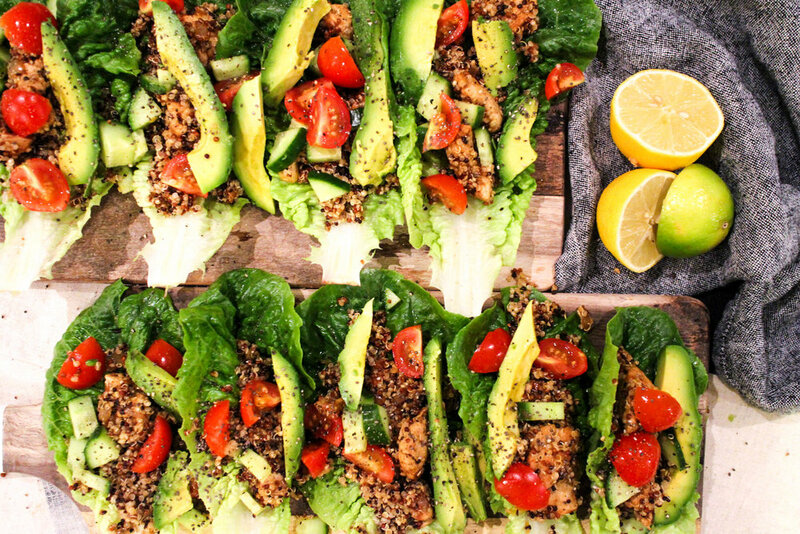 Drizzle with lime or lemon juice and garnish with cracked pepper.